The big board book pages are toddler tough, and cover everything from cool cars and tremendous tractors to boats, planes, trucks, diggers, and racing machines. There are even some favorite make-believe things that go, such as a fantastic pirate ship and a magic broomstick, as well as a page all about vehicle colors. 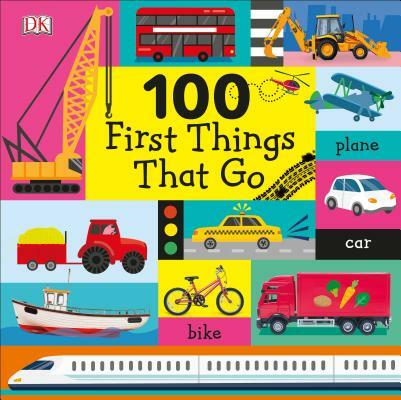 Little ones will love the awesome photos of amazing machines, and they'll be captivated by the fun illustrations that tell simple stories and stimulate talking, from a digger lifting a giant dinosaur bone to a fire engine raising its long ladder to rescue a cat.